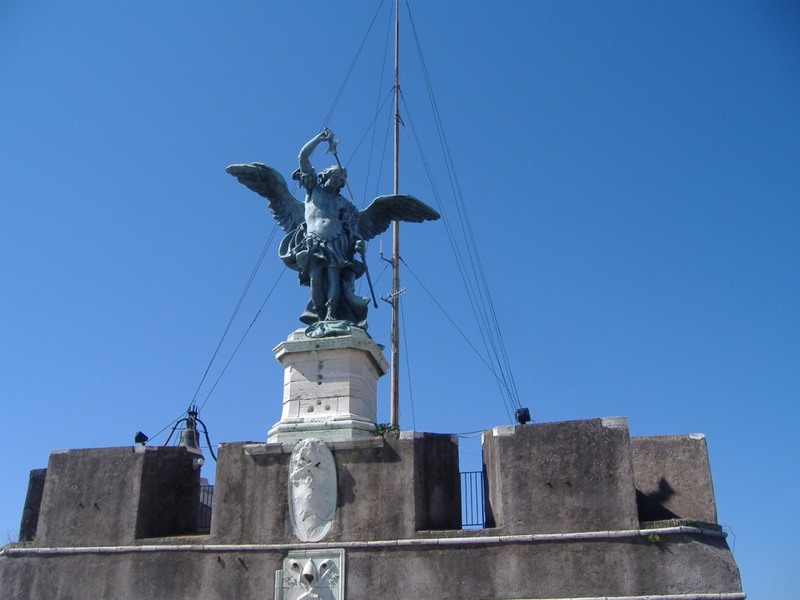 I have visited Rome several times however this was my first visit to Castel Sant’ Angelo. It was never on my list of things to do while in Italy but on this particular afternoon it seemed like the thing to do. The Castel is close to where we were staying in Piazza Navona making it an easy walk on a picture perfect day to this very interesting Castel. I’m so glad I did go. The history of this site is just fascinating, and it’s nice that all of the signs are in English. The architecture is amazing, and there are some really well-preserved rooms! The best part is the view of the city from the top though. Just WOW! The entry was €8 each and totally worth it. Actually the views alone were totally worth the admission cost. Some of the best views I have ever seen in Rome. 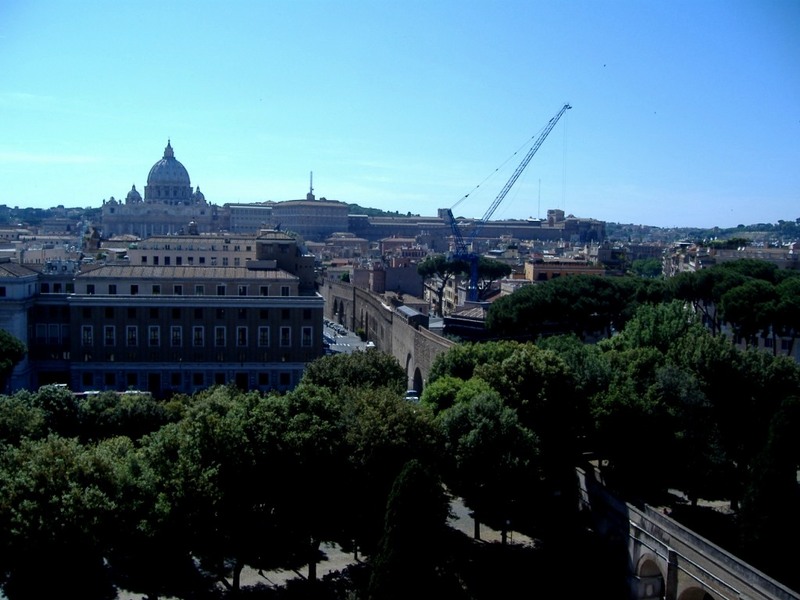 From the terrace you can see across Rome and the Vatican. 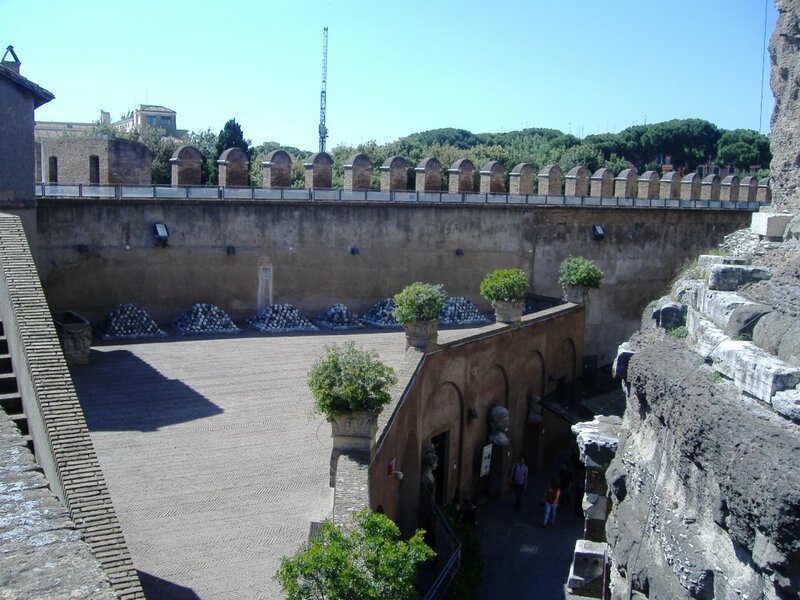 The Castel Sant’Angelo is a towering cylindrical building in Parco Adriano, Rome. It was initially commissioned by the Roman Emperor Hadrian as a mausoleun for himself and his family. The building was later used by the popes as a fortress and castle, and is now a museum. The Castel was once the tallest building in Rome. 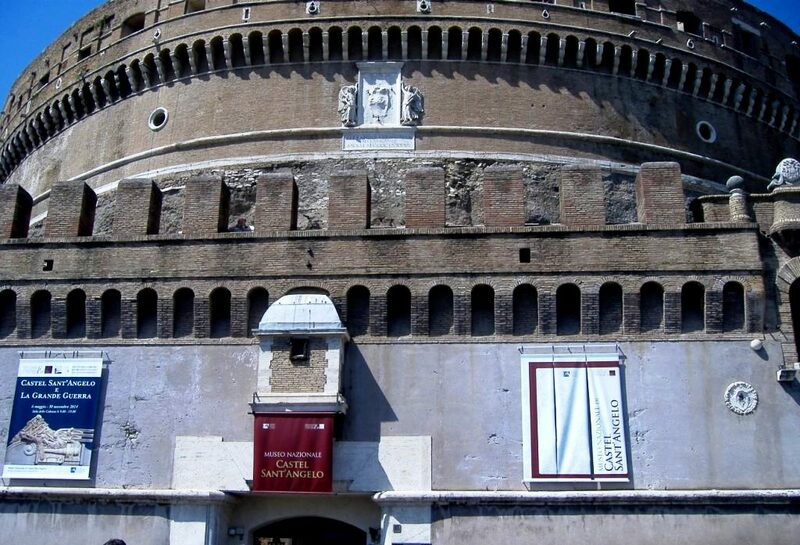 The National Museum of Castel Sant’Angelo inside retraces its history. The castle has various exhibits ranging from Renaissance paintings and pottery to antique military weapons. 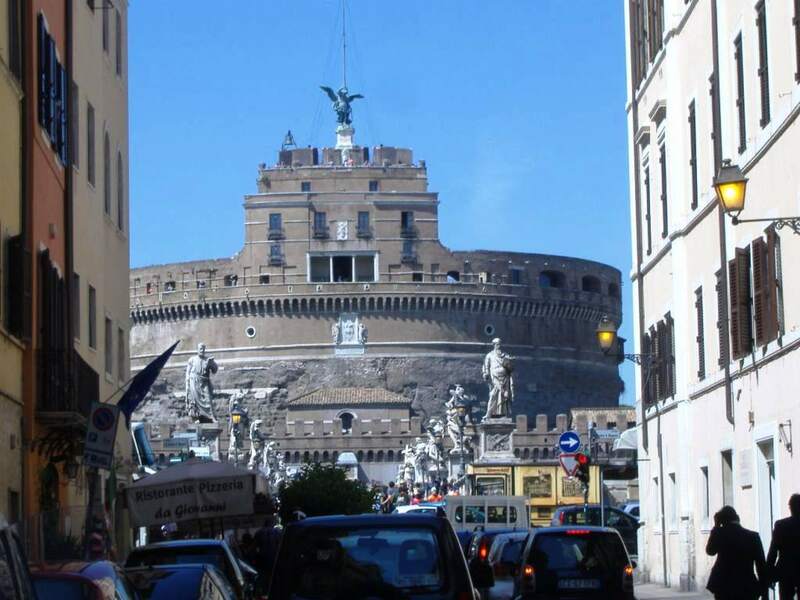 A huge spiral ramp ascends upwards the Castel Sant Angelo for about 400 feet. As in the last act of Tosca, admire the beautiful view from the terrace but don’t throw yourself off – go for a coffee instead in one of the rampart towers.